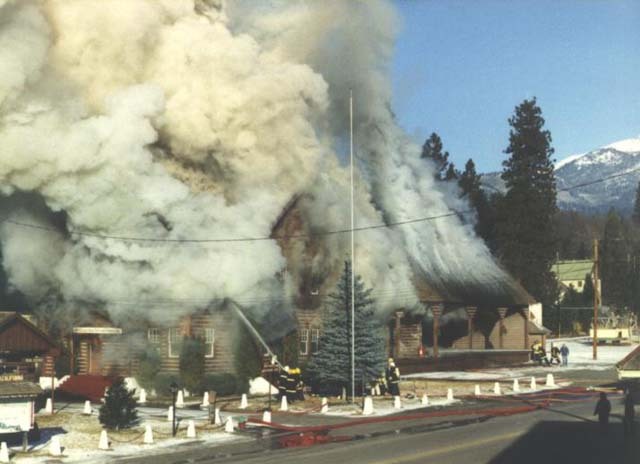 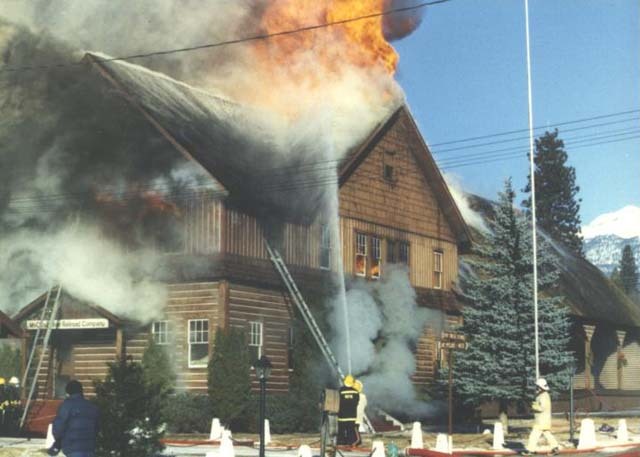 A few days before Christmas 1990 the old log-cabin style headquarters building built by and for the McCloud River Railroad Company burned to the ground. 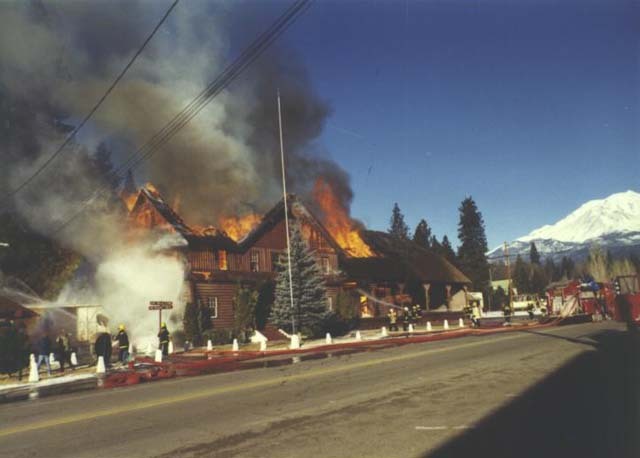 The building dated from 1929, and fire investigators later blamed the fire on faulty electic wiring, with the aged condition of the building and its construction type contributing to the complete destruction of the structure. 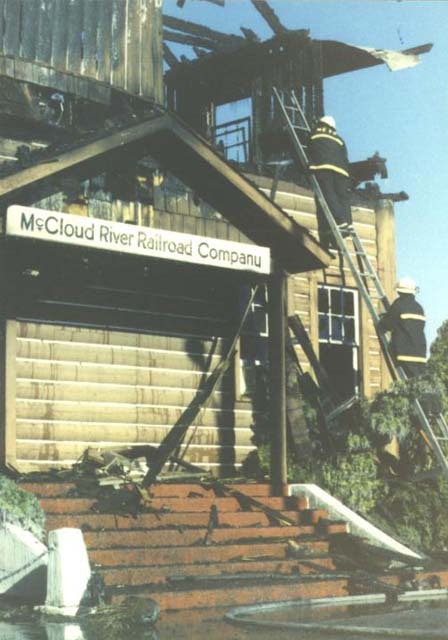 The railroad leased office space in the old McCloud River Lumber Company headquarters building for a few years before the company completed a remodeling and expansion of one corner of the shop building to house the company offices. 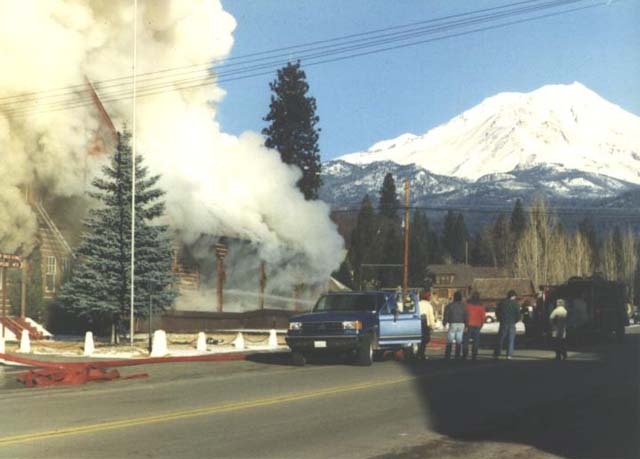 Today only the two story brick vault remains, and the rest of the site has been turned into a parking lot for the Shasta Sunset Dinner Train. 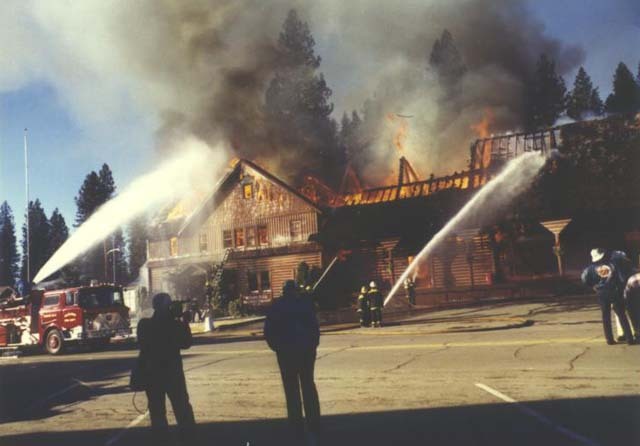 The depot/headquarters building as it appeared in 1986. 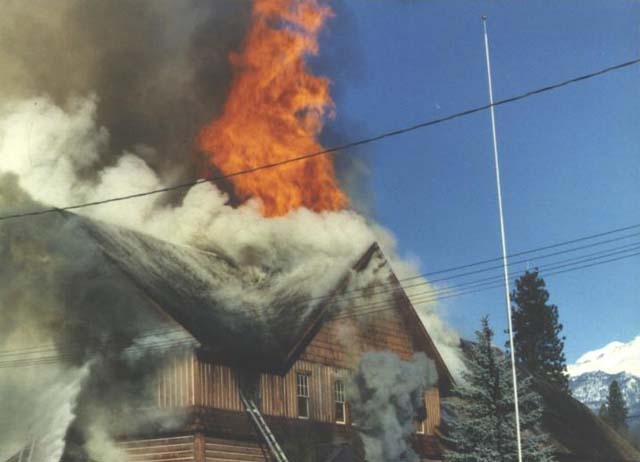 Drew Toner photograph, used with permission.